A little boy and his grandma are baking a cake together. When the cake comes out of the oven and is decorated, it is not just any cake but a very special one! Little ones will love experiencing the different steps in baking a cake: helping to find the supplies, measuring and combining the ingredients and then frosting the cake. Speaking in short sentences, the little boy talks with his Grandma as they work together. Expanding upon the child's simple sentences, Grandma speaks in longer sentences, adding substantial information and introducing new vocabulary. 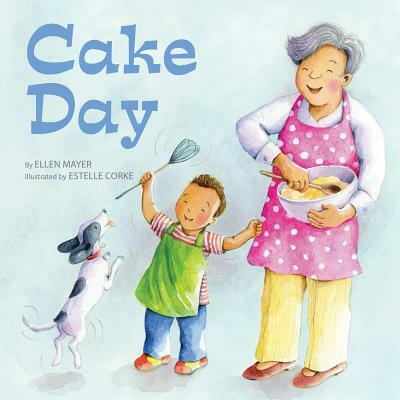 Cake Day is a loving story that, when read aloud with a favorite child, helps develop verbal and pre-literacy skills. Small Talk Books® are playful stories featuring young children and adults having fun and engaging in rich conversation. The adults talk with children in ways that can help bolster young children s language development. Included is a note for parents, grandparents, caregivers and teachers by Dr. Betty Bardige.